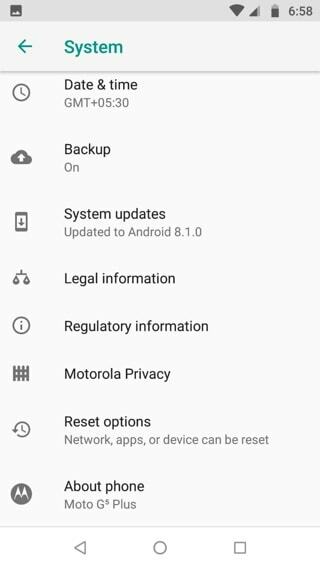 Update: Moto G5 (Plus) Android 8.1 Oreo full stock firmware (Fastboot zip) and OTA updates now available for download from stable channel. Last year’s Moto G5 and G5 Plus are finally receiving the latest Android 8.1 Oreo firmware update with Motorola’s new Beta program. 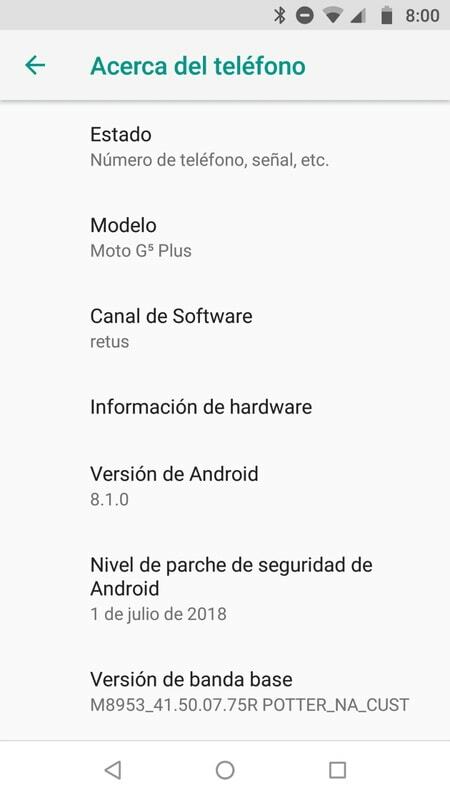 The Moto G5S Plus is already running similar Android 8.1 OTA update under the Beta channel (soak test). Thanks to users of the Moto G5, the 8.1 Oreo OTA has been captured. So download and see how to install the latest Android 8.1 Oreo firmware update onto Moto G5 (Plus). 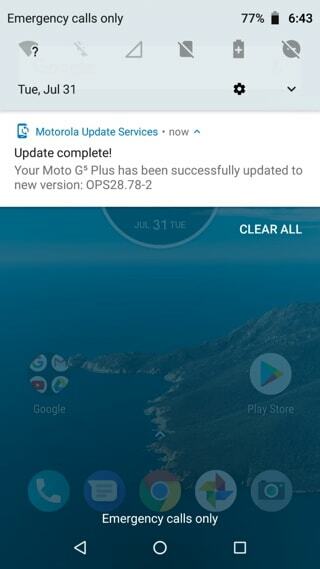 The Moto G5 and G5+ get the new update with firmware build number OPS28.78-2. 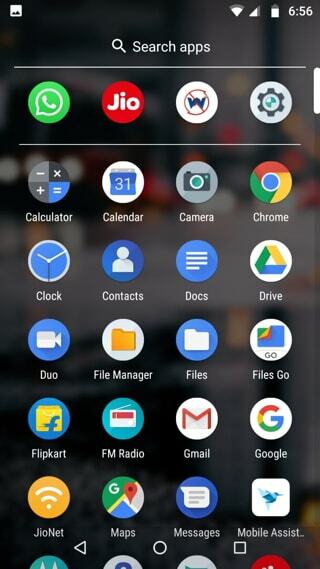 As this is based on Android 8.1, it comes with all the 8.1 Oreo goodies such as advanced Autofill for usernames and Passwords, advanced notification channels, new Emojis, smart text selection, etc. Currently, only Brazil and Indian variants of Moto G5 device have reported to be receiving this update. Now, the OTA update is not available for everyone. Only the select few who have enrolled into Motorola-Lenovo Beta testing channel will receive this OTA. However, there are ways that non-Beta testers can also flash the latest firmware onto their devices. Following is not an OTA update, but a TWRP backup of the latest Android 8.1 firmware. So all you need to do is transfer the backup to your device and restore the TWRP backup through custom recovery. For this, your device needs to be rooted with latest TWRP recovery installed. 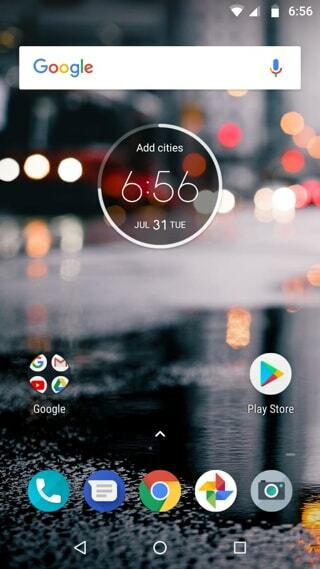 The above TWRP build is Soak Test OPS28.78-2 (Oreo 8.1, 1 July 2018 security patch) for the Moto G5 Plus. Full downloads repository for OTA and full stock firmware is here. How to Update Moto G5 and G5 Plus to Android 8.1 Oreo? Make sure your Moto G5 (Plus) is rooted with latest TWRP recovery installed. See how to install TWRP on Android devices. Transfer the ROM to phone storage or SD Card. Extract if Google made it a zip file. (Optional) You can open the extracted folder, copy the TWRP folder and paste it into the TWRP folder created by recovery. Or simply leave it wherever you have placed it. Go to wipe , Wipe Dalvic cache , cache , data. You can optionally wipe internal partition as well. If you would like to revert back to stable Android 8.0 Oreo, then simply restore the original TWRP backup. Update: We now have the full stock firmware file which can be flashed via Fastboot Mode or Bootloader mode, an well as the OTA update. Tutorial: How to install Moto stock firmware using Fastboot mode? Note: While flashing the above firmware via Fastboot, omit the following lines so as not to risk losing the IMEI. Tutorial: You can either install OTA using ADB sideload method or using stock recovery method. When will moto g5 plus oreo soak test 2nd and 3rd ota zip available??? Hello. I am currently running the OPP28.85-13, August 2018. Flashed a soak Rom perfectly after rooting it and installing twrp. Everything is fine but one thing: is there a way of receiving the security updates? It seems my phone is forever stuck with the August patch. Running a system update returns “your device is up to date”. Can someone help? XT1672 from Brazil.